This layout was inspired by all the creative people at dmarie. After posting on the bb a year ago, they helped me come up with this idea. 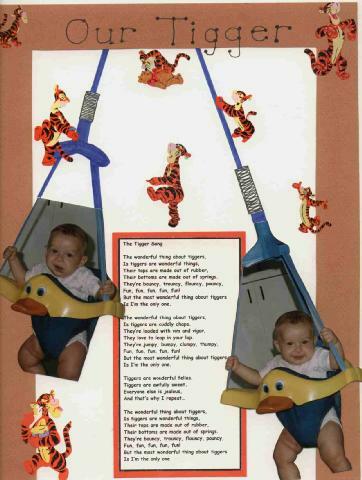 The tigger stickers are from sandylion and I hand drew the parts of the jolly jumper that were out of the pictures.